You have some great finds at good prices. I used to do garage sales, but I have better luck at auctions for now. You got a couple of good deals! The napkin rings are so pretty. Thanks for joining TST! love the napkin rings!! thanks for linking up! Wow thanks for sharing the website for tag sales. I've never looked on Craig's list for garage sales, but will take a look this weekend. Different areas do different things, I guess. Cute blog you have here! 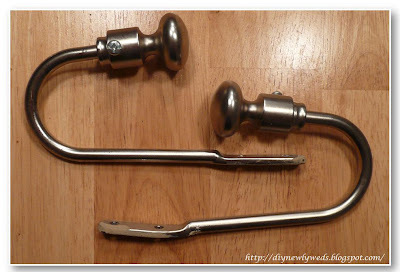 Great finds my friend!Thanks for linking up this week! TagSellIt --There are 88 garage sales in my area. Goodness! That could keep a person busy! I had no idea that site existed. Thanks so much! 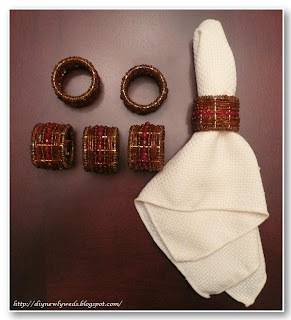 I am a sucker for beaded napkin rings. I would have snatched those up because you are so right..they are a few dollars a piece!